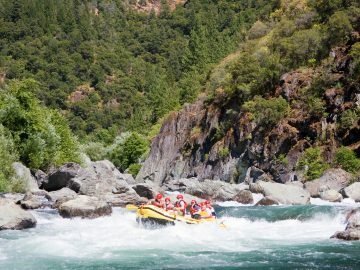 It’s been five years since we’ve seen a solid snowpack in California and there has been any kind of buzz about whitewater rafting. But based on the most recent snow survey, and just one year after the driest winter ever recorded in California history, things are definitely looking up. This year’s April 1 surveys reported near normal snowpack totals in the Northern and Central Sierra. Not quite the Godzilla El Nino season we were hoping for, but a remarkable improvement from the last four years. Statewide, the Department of Water Resources reported April 1 that water content of the mountain snowpack was at 87 percent of the historical average. To put that in perspective, last year’s statewide snowpack water content was only 5 percent of the historical April 1 average. But here’s the only thing you really need to know about the numbers: Anything above an 85 percent snowpack in the Sierra, equals awesome conditions for whitewater rafting. 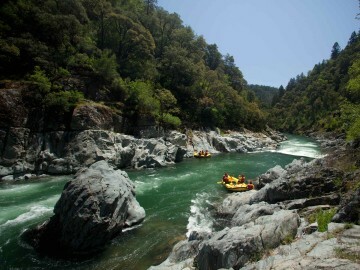 The emerald-green Class IV North Fork of the American River near Auburn—one of the classic free-flowing Sierra runs—is expected to have good flows through mid-May if temperatures remain mild and we continue to see regular precipitation. Get it while the getting is good. 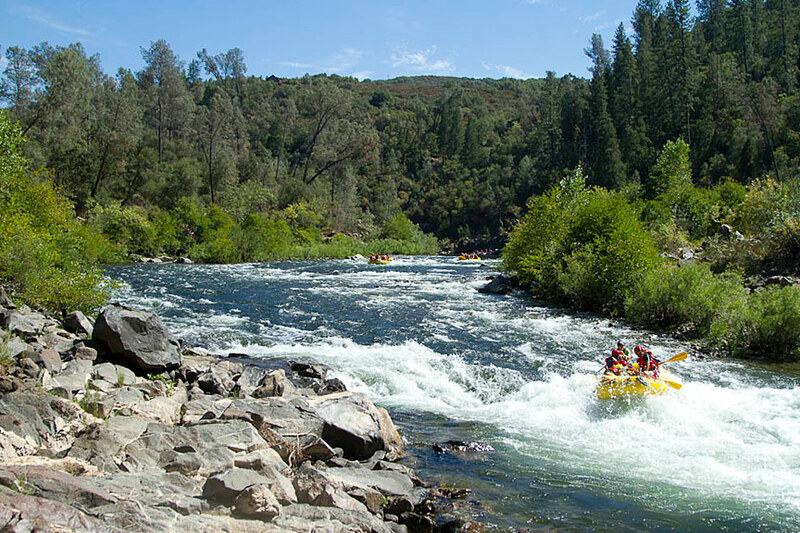 Another free-flowing spring run, the Merced River outside of Yosemite offers Class III-IV roller coaster thrills and is expected to run through mid-June this year. At high water, the Merced serves up 10-foot waves and boatloads of fun. Expect elevated flows on the Tuolumne River near Yosemite at least through the end May (swim test likely required) with reliable water all summer long on this iconic Class IV river. 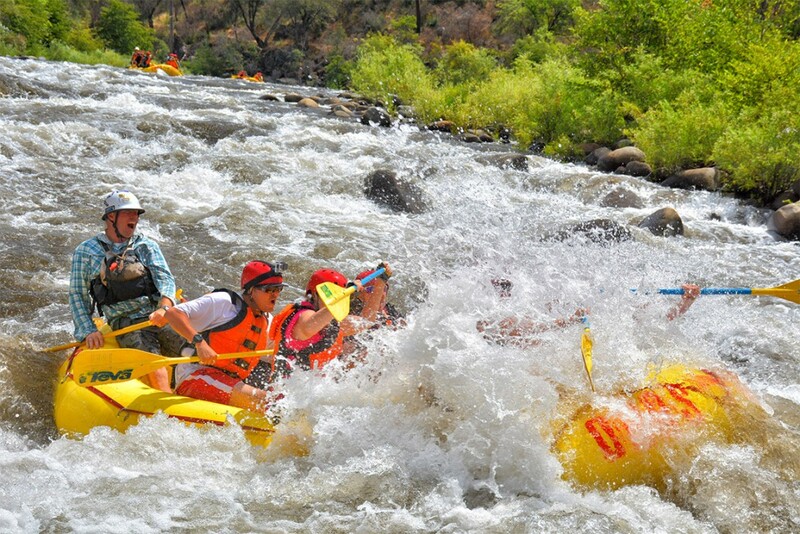 With 18 miles of nearly continuous whitewater running through a pristine wilderness canyon and 1-, 2-, and 3-day options available, “The T” is a must-do California rafting trip. 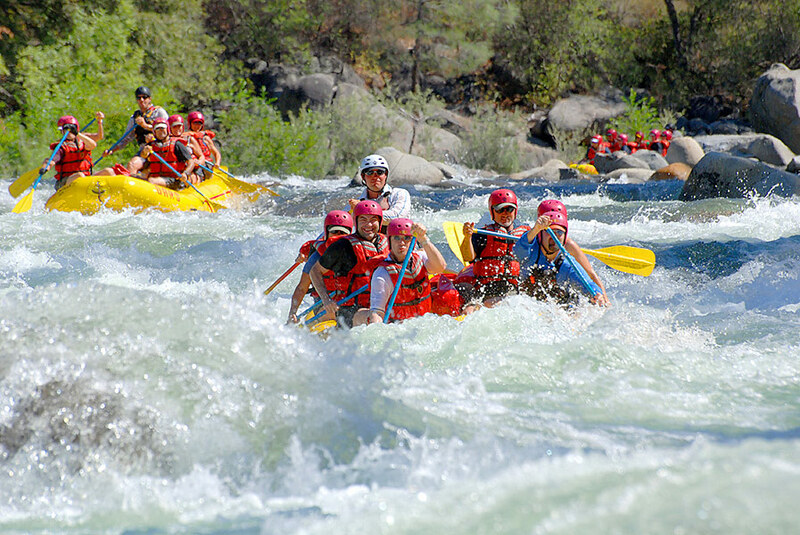 On the South Fork of the American near Sacramento, California’s most popular whitewater rafting river, upstream reservoirs are already at capacity and we’ll have guaranteed flows 7 days per week through Labor Day and 4 days per week in September and October. 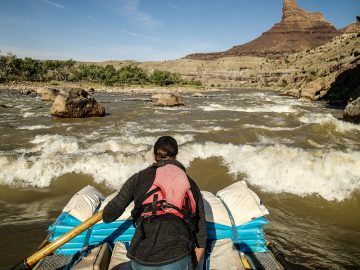 Normally a great river for families with kids as young as 7-years-old, expect higher flows and increased minimum age requirements on the South Fork through Memorial Day. 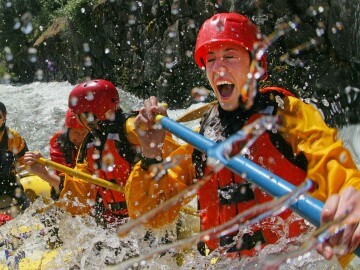 This is a completely different river at higher flows and a guaranteed thrill ride. 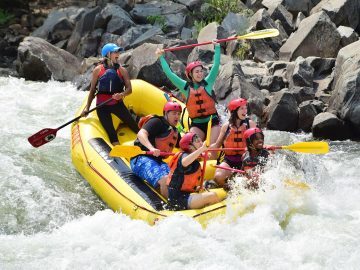 The dam-released Class IV Middle Fork of the American River near Auburn will also be in play 7 days per week from Memorial Day through Labor Day with a more limited schedule through the end of September. If you haven’t rafted the Middle Fork’s notorious Tunnel Chute Rapid, you need to add this river to your list this year. 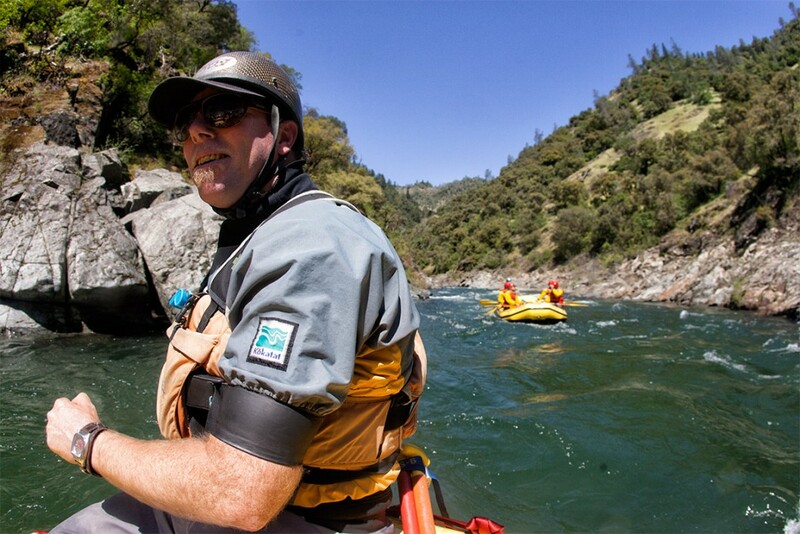 We sat down with OARS’ California Manager and longtime river guide, Chris Moore, to get the full scoop on what to expect for the 2016 California rafting season. 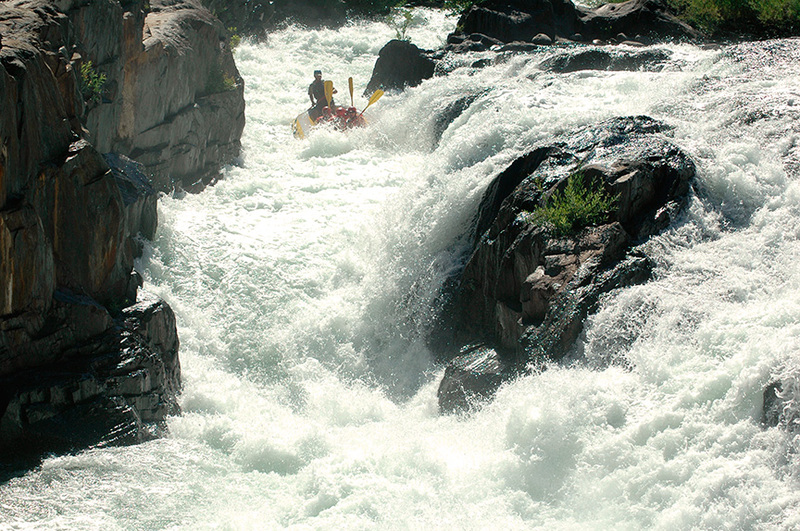 What does the recent California snowpack report mean for rafters this year? There’s no doubt that this will be the best season we’ve seen since 2010 and 2011. For rafters, that means there are a lot of options that they can choose from. Which rivers is OARS running this year that we haven’t been able to offer the past few years? 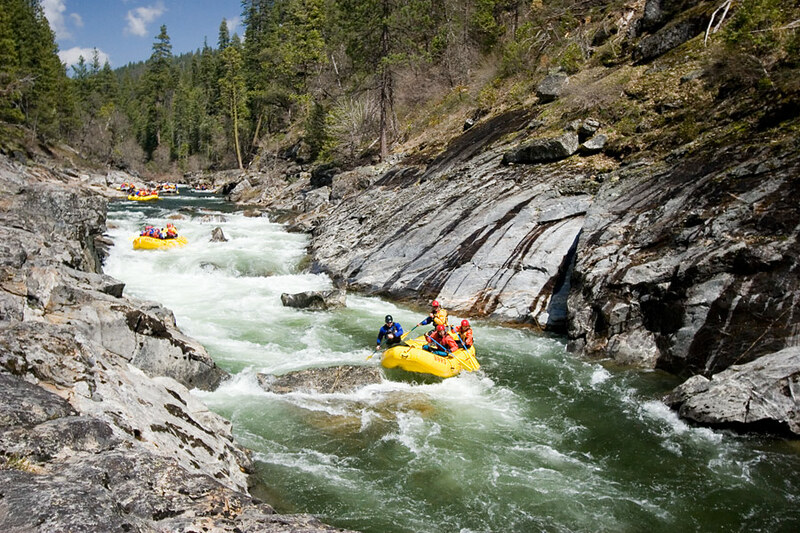 The big one that I’m recommending everyone gets on as soon as possible, because it can be a very finicky river, is the North Fork of the American. Also, the North Fork of the Stanislaus, which typically has a very short window, and the Merced River outside of Yosemite. If we hold normal weather patterns, I would confidently say we can see the North Fork American running through the end of April. If we see it stay really cool, or we were to get some more snow, I’d say the latest we’ll see the North Fork of the American is the third week of May. But April is really the month to get out on the North Fork of the American. It’s an absolute gem of the Sierra. For the North Fork of the Stanislaus, we can anticipate a few prime days in April. 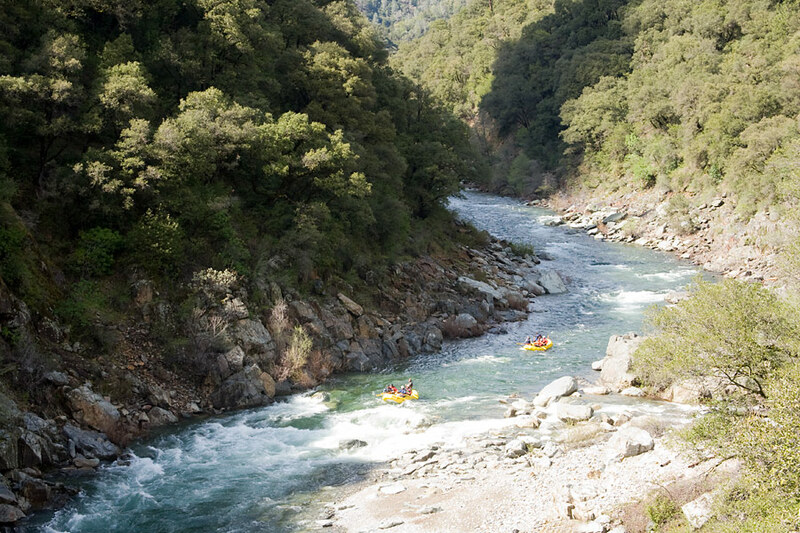 And when it comes to the Merced River, there’s a much wider spectrum of runnable water levels. I’d be surprised if we aren’t still running trips in mid-June. The Merced has already been running. We’ve actually had some great water levels out there. I’m anticipating seeing a max during our boating season of 6,000 or 7,000 cfs. It is a Class III-IV river, but it’s a solid Class IV at 6,000 cfs. There are wave trains in that canyon that compare with the Grand Canyon. It’s absolutely amazing—10 to 12 foot high standing waves. It’s beautiful. 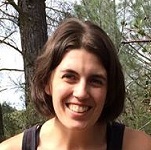 What can we anticipate on the Tuolumne River this year? Hetch Hetchy is filled to the brim at this point. I do anticipate seeing spill, which means if it gets hot quick, we’re going to have high water quick. We haven’t heard from the Hetch Hetchy managing agencies yet, but the reservoirs are full so we’re going to have water for quite a bit of time. And I anticipate it not being lower than 2,000 cfs until the second week of June. 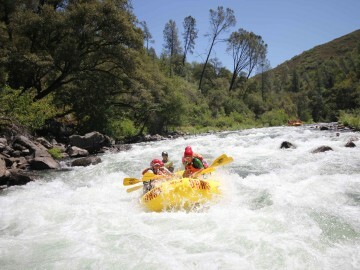 So it sounds like it should be an exciting season on the Tuolumne this year. 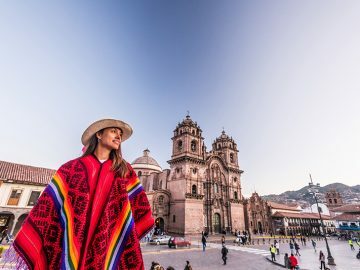 What can people on early season trips expect? I’m anticipating high-water trips. We consider anything above 4,000 cfs a high-water trip. In the month of April we can expect to see 3,000 to 6,000 cfs. And I’m feeling the same way about May, but we might actually see the Tuolumne River go up to 8,000 cfs. Normal summer flows are expected by the second week of June. Anytime we’re over 4,000 cfs, we do generally incorporate a swim practice. If we’re at 8,000 cfs you’re going to find that the guides are quite a bit more particular about what we need out of the clients. We have a high water letter that we send out and outline some of the expectations. 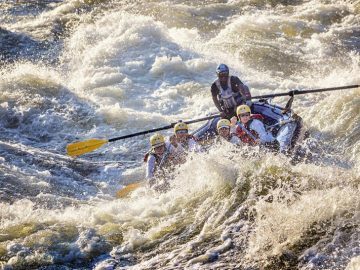 If they’re a first-time rafter, that’s ok, but adventurous and athletic is pretty much the bottom line. It’s the experience of a lifetime. What are you anticipating on the Middle Fork and South Fork American, which are also dam-controlled? We don’t know for sure yet what our release schedule is going to look like. We have good information that we could be seeing six to seven days per week on the Middle Fork American. The same on the South Fork. How does that compare to the last few years? Last year we had five days of water on the South Fork American after Memorial Day and four days on the Middle Fork. And prior to Memorial Day we only had weekends on the South Fork and we didn’t have any Middle Fork releases. So that’s a huge difference for the month of April, and especially the month of May. We won’t see any restrictions at all. So if people are looking for Class IV in that area, the North Fork is where we’d generally be in April to the first week of May. When the North Fork should be ramping down, that’s when we’ll see the Middle Fork come back into more regulated flows. And if we’re running Chili Bar [South Fork American] at 6,000 cfs, that’s definitely in the Class IV range. Later in the season, I anticipate at least weekend flows through September for the Middle Fork and the South Fork. And there’s a good chance that this September, we’ll actually see four days per week on the South Fork. So we may see some high water trips on the South Fork of the American this year? Absolutely. This year, we’ve seen it in the 4,000-6,000 range consistently. That’s a completely different river. I’m guessing we’ll see higher than normal flows on the South Fork until Memorial Day. And as we’re seeing higher water levels out there, our minimum age requirements go up. What should people be most excited about this season? This season is going to provide a lot of clients the opportunity to go back to the rivers that they’ve been on in the past and have a completely different experience, and I think that’s huge. It should be awesome.